If you enjoy building LEGO constructions and your favorite video game of all time is Rollercoaster Tycoon we’ve got a new project to share with you. The Sidewinder is a new Kickstarter project by CoasterDynamix who already ran a successful campaign a with their Cyclone rollercoaster. This new project features a 700-piece realistic rollercoaster model that includes a realistically modelled looping. Since the blocks are compatible with LEGO you can expand into a custom design with your own blocks. 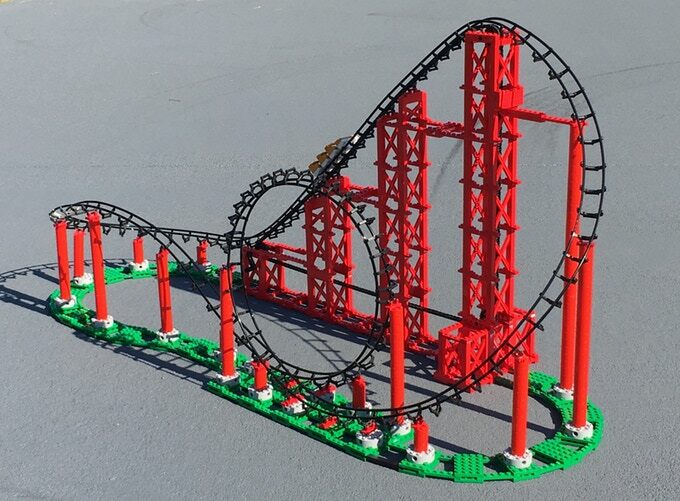 If you want to get really crazy you can buy multiple Sidewinder kits to build the ultimate horror rollercoaster with multiple loopings. You can get a Sidewinder kit for around 100 bucks on the official Kickstarter page. The more kits you buy the cheaper it gets. The Sidewinders are scheduled for worldwide delivery April 2019.